Mallorca is the largest of the Balearic Islands with 350 miles of coastline and just over 1350 square miles of land. Originally it was a destination selected by the exclusive few including Grace Kelly, Elizabeth Taylor and Gary Cooper. The sixties and seventies dulled the lustre with the growth of mass tourism fed by endless package tourists. However cash brought in by the masses has reinvigorated the island, enabling a developed infrastructure, so encouraging a return towards quality tourism. 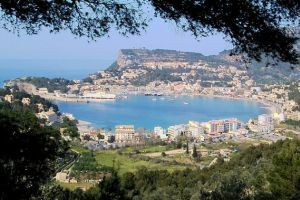 Much of the rejuvenation can also be attributed to the advent of the low cost airlines such as easyjet and bmi baby, bringing independent tourists wanting to discover authentic Mallorca. British Airways operates a yearly schedule, along with a number of charter operators who provide a vast selection of routes from some 35 UK airports through the summer. These include Flybe, Flyglobespan, Jet2, Monarch, Thomas Cook and Thomsonfly. Other major European airlines servicing the island include Air Berlin, Vueling, Wizzair and of course national carrier Iberia. Whilst there are still a few package tourist enclaves, a return to traditional, affordable, elegance is now the epitome of the Mallorcan experience. AERBT found that this was ably demonstrated by the boutique situated in the former fishing village of Cala San Vicente although, to be fair, we could have just of easily given our patronage to a number of other very attractive looking properties. Situated just 100yards from the lapping shores of Cala Barques, the hotel has been open for 30 years, and retains its tradition of providing guests with a real home away from home. Oscar winning actors, famed celebrity chefs and well known musicians form part of the extensive client heritage. From the minute one enters, elegance surrounds you. Antique Mallorcan furniture blends with light Mallorcan prints. Staff are charming but not obsequious. Rooms are spacious and comfortable with beautiful balconies and stylish furniture. Along with a heated pool set in manicured gardens, guests can also enjoy a well equipped gym, spa treatments, lounge bar, or one of the three restaurants offering a variety of styles. Mallorca is an island devoted to art and here the Hotel Cala San Vicente does not lag behind offering monthly art exhibitions by local artists. Exhibiting art in a hotel is not that unusual as competition for wall space from the artistic community is intense. Celebrity chef Marc Fosh, proprietor of Simply Fosh in Palma, says he loves having art in his restaurant as it is another attraction for guests, as well as his amazing food. In Palma art spills out onto the streets with many buildings demonstrating fine examples of the Modernisme movement influenced by Gaudi. Spanish artist Miro settled in Palma. The Fundacio De Pilar and Joan Miro offers through his painting, sculptures and works in progress, a fascinating insight into his life, philosophy and art. In stark contrast to Palma’s galleries, the Fundacion de Ben Jakober, is a magical homage to an eclectic selection of art. 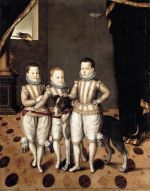 Situated on the verdant Aucanada Peninsula, the foundation presents a fascinating collection of portraits of European royal children from the 15th century onwards providing an insight into their repressed lives. The images are offset against a set of contemporary animal sculptures scattered around the gardens, inspired by and for children. The collection is also host to the skeletal remains of a woolly rhinoceros which guards a Swarovski curtain consisting of over 100 000 crystals. For a truly stimulating day, a trip to the foundation should not be missed. AERBT encourages visitors to find out more about the Mallorcan wine industry. Pliny said Mallorca produced some of the best wines in the Mediterranean, but having suffered phylloxera, wars, and near starvation, it is only now that Mallorcan wine is resurging. Production scales are small but offer a broad spectrum with some 60 vineyards including biodynamic producers Jaume Mesquida, organic producers Biniagrau, and bodegas like Macia Batle using predominantly indigenous grapes which produce a whole new set of flavours for the most sophisticated of palettes. AERBT visited Vinyes Mortitx situated just 15 minutes from Cala San Vicente. Heading into the landscape of the savage Tramuntana mountain range, navigating hairpin bends and avoiding suicidal goats, it seems impossible that a vineyard could thrive in the ragged landscape. However, established by a group of local friends in 2001, Vinyes Mortitx is now producing award winning wines at 400 meters above sea level. The wines are French influenced, and include a disarmingly light rose, Flairales and the Decantar award winning Lu, a strong elegant wine from a blend of Syrah, Merlot and Cabernet. As she stands in front of a wall full of international awards, Aurelie, the vineyards oenologist smiles wryly as she tells me most Mallorcan vintners said a vineyard at this height would never work. Some 35 marinas are home to a variety of vessels from the traditional Mallorcan yate, (fishing boat), to the super-yachts moored in Palma. For those that are keen to learn sailing skills visit Saracen Sailing, an RYA (Royal Yachting Association) school based out of the Bonaire and Alcudia marinas. Situated just 20 minutes from the Hotel Cala San Vicenç AERBT joined them for a taster day. Calmly motoring out of the marina the view back to the island gave the Mallorcan landscape a whole new perspective as the bare mountains give way to holm-oak lined hills. The main sail was hoisted, the gib unfurled and before we knew it we were enjoying the peace of the bay with just the sound of the sails flapping in the wind. Egrets and cormorants were fishing in the sparkling waters around us, and the peace and tranquillity of the yacht left everybody in a contemplative mood. We were encouraged to get involved, or just relax and take in the views, either way after a day at sea, the only thing left to do was relax into an evening meal at the fabulous Pto Alcudia restaurant Dulcinea which serves reputably the best paella in Mallorca. There really is no better way to end the day sailing, before heading back to the elegance of the Hotel Cala San Vicenç.